Browsing Category: iPhone Case Displaying 1-13 of 13 Found. $19.99 Need a daily reminder to find your strength in the Lord? 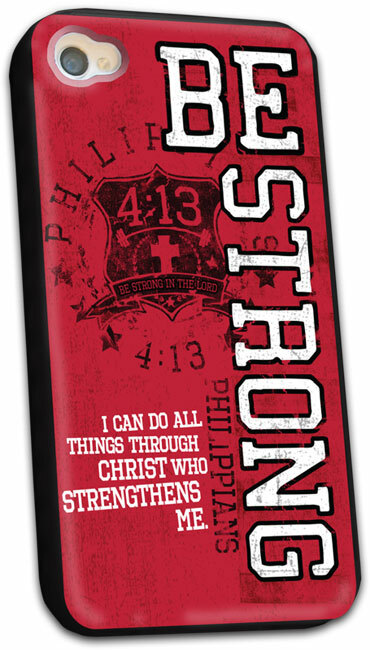 Then the Be Strong iPhone case is for you. The design includes the verse in Philippians 4:13 "I can do all things through Christ who strengthens me". 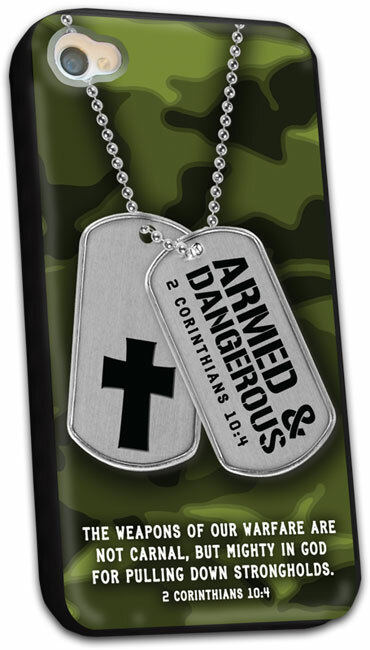 $19.99 The Dogtags Christian iPhone case is perfect for anyone in the Lord's army. 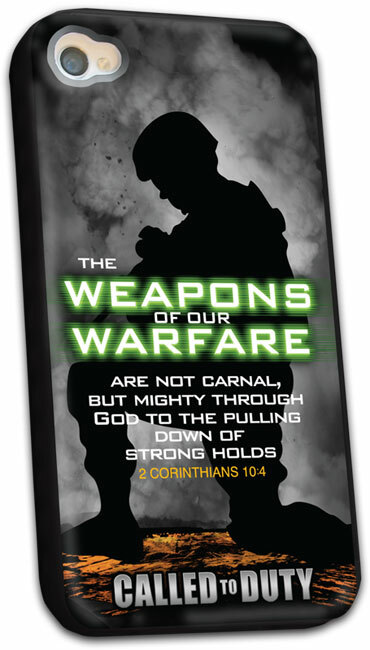 This design features the weapons God gives us for battle in the reference of 2 Corinthians 10:4"The weapons we fight with are not the weapons of the world. On the contrary, they have divine power to demolish strongholds". 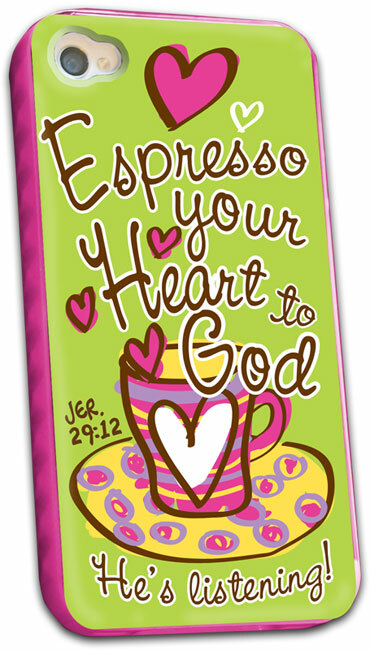 $19.99 Express your personality and your heart for god with this stylish Espresso Christian Women's iPhone Case. This fun case encourages from Jeremiah 29:12 "in those days when you pray, I will listen". 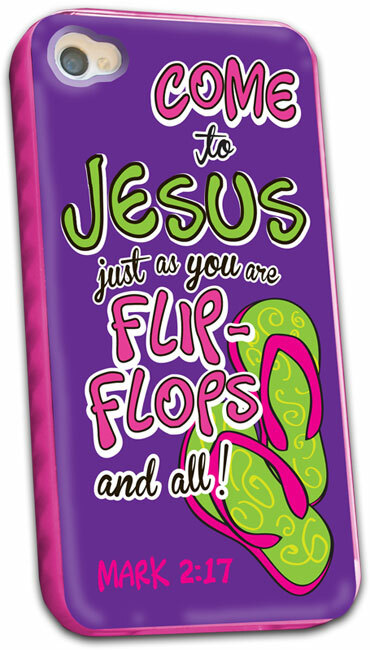 $19.99 If you live in flip flops can't imagine wearing anything else, the Flip Flops iPhone Case is for you. This design was created as a reminder that we can come to Jesus just as we are, based on Mark 2:17 "On hearing this, Jesus said to them, It is not the healthy who need a doctor, but the sick. I have not come to call the righteous, but sinners". 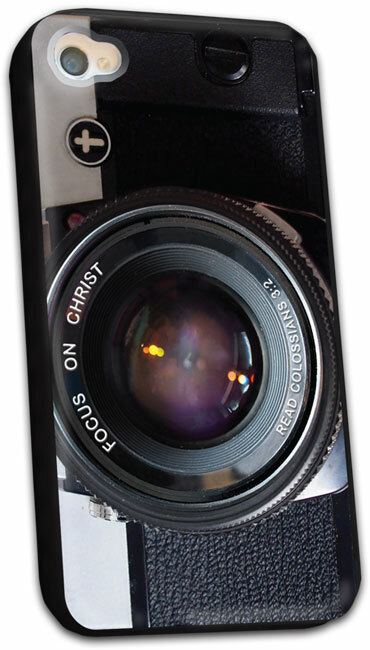 $19.99 For the aspiring photographer, our Focus On Christ iPhone case will show of their artistic side and keep their mind set on the right things. 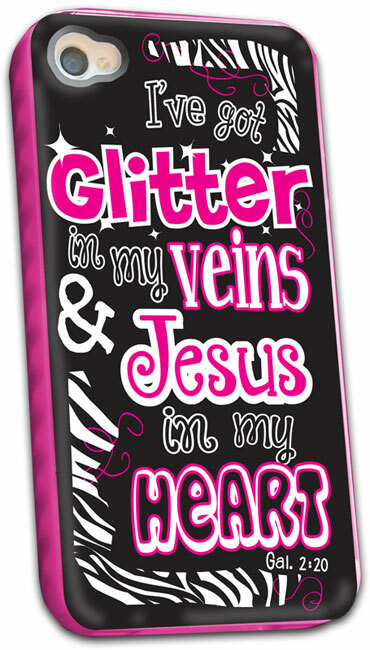 $19.99 For the girl who loves sparkle, our Glitter Christian Women's iPhone case is sure to please. This sparkly trendy iPhone case was to created to reflect Galatians 2:20 "I have been crucified with Christ and I no longer live, but Christ lives in me. The life I live in the body, I live by faith in the Son of God, who loved me and gave himself for me". 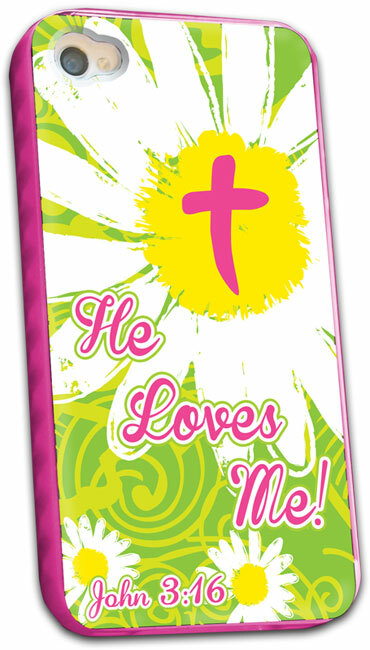 $19.99 Your iphone is with you all the time, so why not have a cover that shares the gospel like the He Loves Me iPhone case. 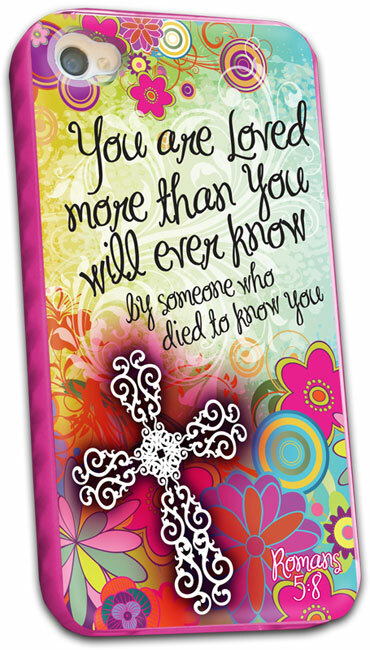 In bright colors and a pretty daisy print this design is based on John 3:16 "for God so loved the world, he gave his one and only son, that whoever believes in him, will not perish but have eternal life". 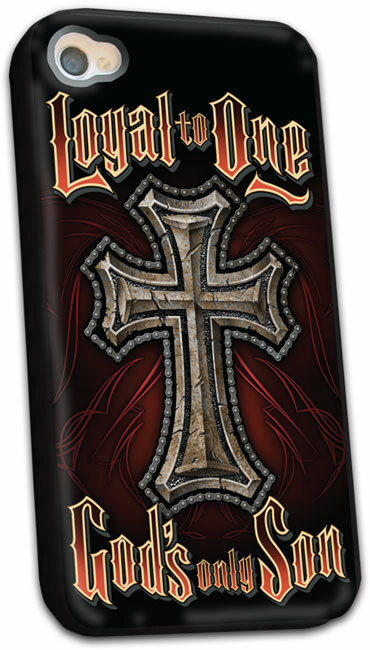 $19.99 The Loyal To One iPhone case features a biker design of a cross. This tough iphone case based on Acts 4:12 "Salvation is found in no one else, for there is no other name under heaven given to mankind by which we must be saved." 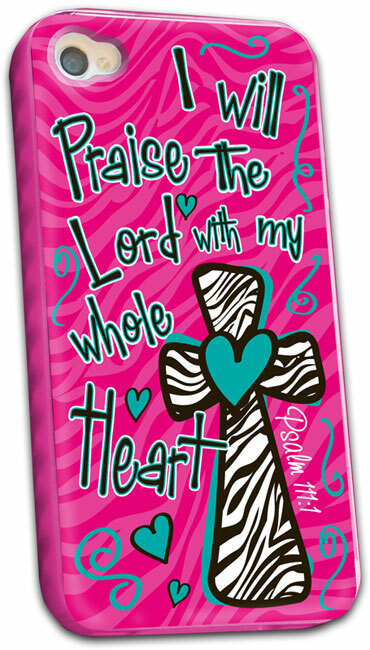 $19.99 In hot pink and zebra print no one can miss your Praise The Lord iPhone case. Psalm 111:1 "Praise the Lord! I will give thanks to the Lord with my whole heart, in the company of the upright, in the congregation", is the basis for the design of this iPhone cover. 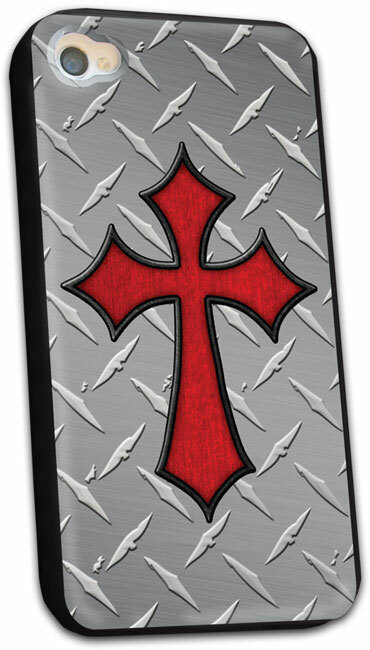 $19.99 The Treadplate Cross Christian iPhone case is a simple, yet effective gospel visual aide. This case shows one of the worlds most recognized symbols, the cross on which Christ gave his life for us. $19.99 Our Weapons Men's iphone case is from our Christian Called to Duty collection. Our weapons are not man-made but are described in 2 Corinthians 10:4"The weapons we fight with are not the weapons of the world. On the contrary, they have divine power to demolish strongholds". $19.99 The You Are Loved iPhone case has a great graphic design and incredible message of Christ love. Based on Romans 5:8 "But God demonstrates his own love for us in this: While we were still sinners, Christ died for us", this may become your favorite accessory. 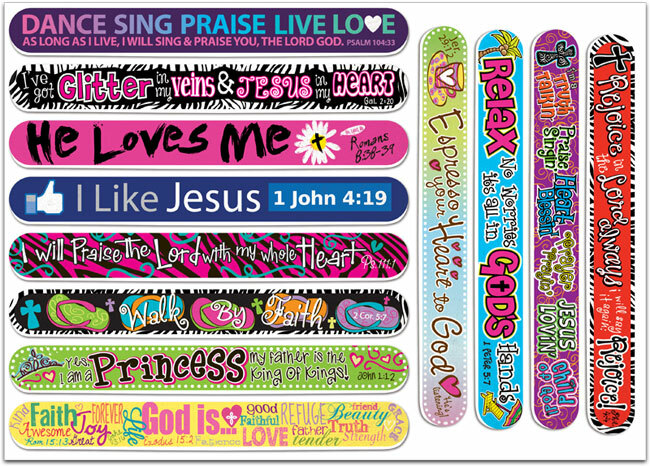 $19.99 We have a variety of great nail files based on our most popular Christian t-shirts and accessories including: Dance Sing Praise, Walk By Faith and Like Jesus. These are just another way to accessorize and continue to further the gospel message.- Nail Files include all 12 different colors/designs.